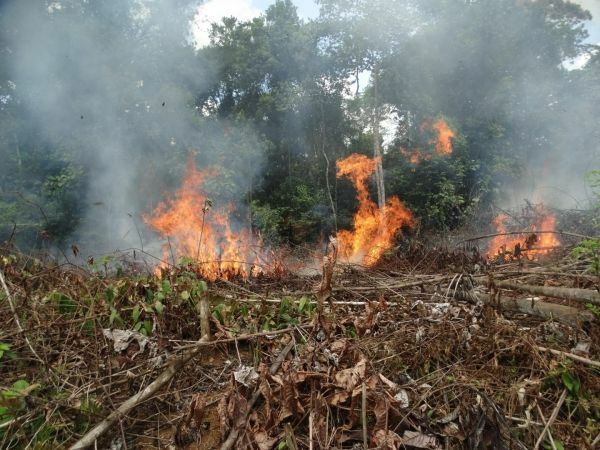 Fires that contribute to deforestation spiked six-fold in Colombia in the year after an historic 2016 peace agreement ended decades of conflict between FARC guerrilla and government forces, according to a study in Nature Ecology & Evolution. “This dramatic increase from trends in the last decade will boost the likelihood of deforestation in protected areas in the upcoming year,” said study co-author Laura C. Schneider, an associate professor in the Department of Geography at Rutgers University–New Brunswick. The study revealed the unforeseen effects of guerrilla group demobilization on deforestation rates. The armed conflict kept farmers and ranchers from burning and converting forests into farm fields and pastures. Since the war ended, deforestation and threats to biodiversity have increased due to the absence of government or other stakeholders in land management in a country with some of the highest biodiversity in the world, according to Schneider, who works in the School of Arts and Sciences. The researchers recommend swift changes in Colombia: real-time forest monitoring; expanded programs to pay farmers and others to protect forested areas at the frontier; government integration of demobilized armed groups as staff in protected areas; and the establishment of a domestic market for frontier deforestation permits.